Going back to incredible New Zealand again, the next lighthouse I've chosen is the no-brainer Castle Point lighthouse. 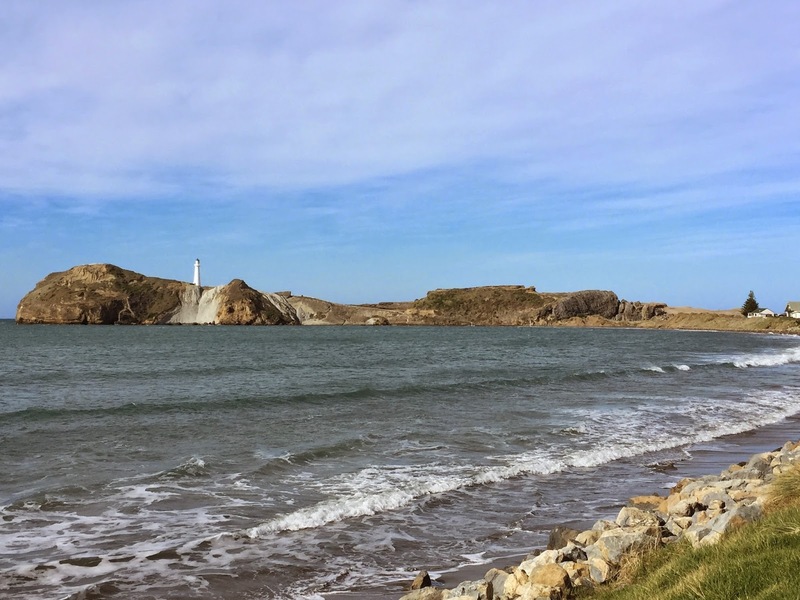 It doesn't have a snow-capped volcanic cone behind it, but it does have a remarkably picturesque stretch of coast to protect. Loads of pictures of this one on the Web. 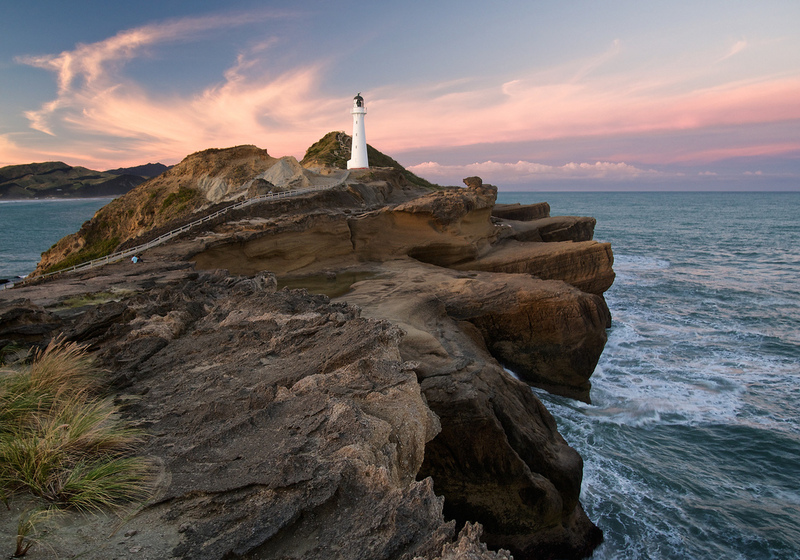 Castle Point lighthouse is situated on the Wairarapa Coast, about 70 kilometres east of Masterton. Close to the Castle Point Township, it was known as the “holiday light”. The light was originally illuminated by an incandescent oil burning lamp. This was changed to diesel-generated electricity in 1954. In 1961 the light was connected to mains electricity. 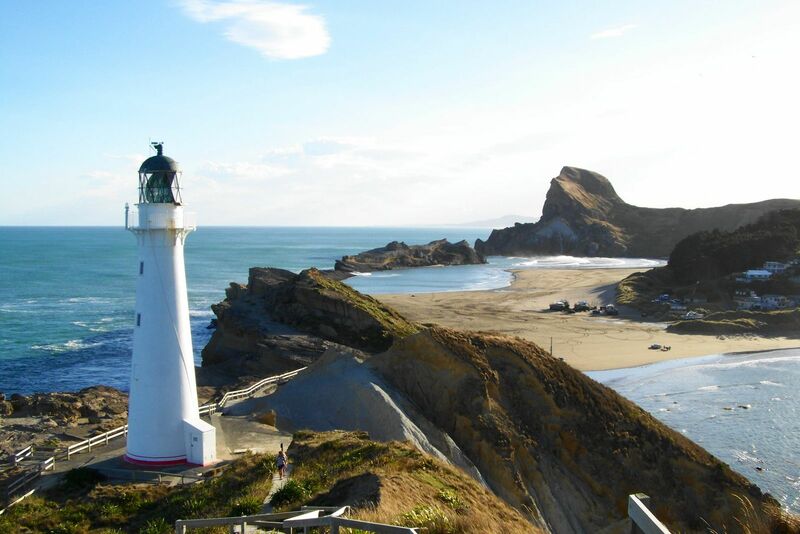 In 1988 the light station was automated and the last keeper was withdrawn. 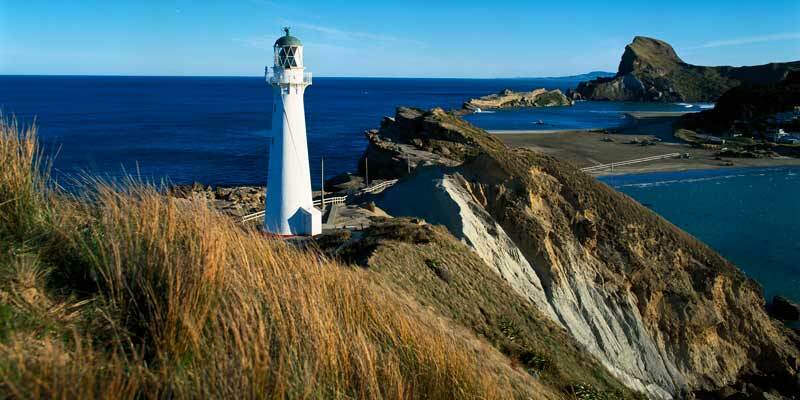 Castle Point lighthouse is one of only two lighthouses in New Zealand that are still fitted with the original lens.